That’s what Jen said yesterday as we were talking about the church building as a “third place.” Ministry strategy has been a regular topic of conversation for my wife and I as we launch Agape Ann Arbor. She’s helping me hone the language I use as I communicate what we’re doing. OK, back to this whole church as the third place thing. The “third place” is a sociological theory popularized by the author Ray Oldenburg. In a nutshell, Oldenburg has observed that in the west we inhabit three places; (1) work, (2) home, (3) and the third place. The third place is the place we inhabit by choice. It is the center of our social life. Think Cheers or Central Perk in Friends. Many contemporary American evangelical churches have created a ministry strategy around this observation. The philosophy of these churches is that their worship facility should be a third place. The strategy is to create environments and activities in the building that will draw people to the building. The goal is to make the physical structure in which the church meets so attractive that people want to spend time there. It’s great for business. The church members meet at the building for Bible study and buy coffee in the cafe. The church members lives revolve around that physical structure and typically they’re willing to pay for the services they receive in that place. It’s a good business strategy. It’s a bad mission strategy. The mission of the church is to make disciples (Matthew 28:19-20). You can’t make new disciples if all the Christians are spending all of they’re limited unallocated time with each other in a third place that non-Christians will never choose. The theory is that if we create cool, comfortable enough environments non-Christians will join us in our cozy little third place. But why would they do that? Do we really think we can compete with Starbuck’s or the comfortable pub on the corner? The only people that want to come to our church buildings are people who are positively predisposed to them. Virtually by definition, this excludes people who are not a part of our Christian community. This is why Agape Ann Arbor does not inhabit a specific space especially designed for our community. We want to make new disciples. This means we spend time in places where we can meet and connect with people who are not already a part of our community. We inhabit spaces inhabited by people who are not yet Christ-followers. We seek to build relationships there. And, rather than presuming that everyone there is looking for an invitation to be a part of our community we strive to be the kind of people they want to invite into their community. Think about this: How many stories are there in the Gospels about Jesus inviting people into his community? How many stories are there in the Gospels about people inviting Jesus into their community? Here’s a challenge for you. Read through the Gospels this week and notice all the parties that Jesus attended. As you read those stories write down where those parties are held and who hosted them. What do you think? Is the third place a good mission strategy or a good business strategy? I want to see the wonders of God’s great love. During my regular quiet time today I read the first half of Psalm 17. In this prayer David comes to the Lord and asks to see the “wonders of his great love” (Psalm 17:7a NIV). Isn’t that what we all want? Don’t all of us that believe there is a God want to see the “wonders of his great love?” I know I do. That’s why I moved my family to Ann Arbor to launch Agape Ann Arbor. I want to see God’s love manifested in this city. I want to see my friends, and neighbors experience God’s love. I want to have a deeper, fuller experience of God’s love. I want to experience God like Jesus did when he was here. If we all want to see the wonders of God’s great love, why don’t we here more stories of people seeing it? Is God hiding it from us? Is life some cosmic game of hot and cold with the prize an experience of God’s love? Jesus experienced the wonders of the Father’s great love because he loved the same things the Father loved. When’s the last time you looked at the people walking down the streets of your town and felt compassion for the ones who don’t know Jesus? When’s the last time you tried to show someone the Jesus’ love them? If we want to see the wonders of God’s great love, we will see it when we express it to those he loves around us. As we express God’s love to the people he loves we will experience the wonder’s of his great love. What’s one thing you can do today to express God’s love to someone you live near or work with? Posted in Bible & Theology | Comments Off on I want to see the wonders of God’s great love. In the past several weeks I’ve had many opportunities to describe what we’re doing at Agape Ann Arbor. It’s been a fun a challenging experience to try to explain this idea that we have. Fundamentally our goal is to live the Jesus-life in Ann Arbor and invite other’s to do the same. In so doing, we will build a community experiencing and expressing God’s love. But how does that work? What does that look like? It starts with individuals intentionally living the Jesus-life in whatever context in which we find ourselves. We focus on getting out into the community, building relationships and loving people. As we build these relationships we invite people to spend time with us. Mostly, this means we have parties. And truthfully, what’s more Christlike than having a party? Don’t believe me? Take some time to read the four stories of Jesus life, the books of Matthew, Mark, Luke, and John in the New Testament. You’ll find that Jesus loves a good party. As people connect together socially with us and our friends and start showing some interest in Jesus, or Agape Ann Arbor, or just express curiosity about religions, we invite them into our community. At these gatherings focus on learning who Jesus is and what it means to live the Jesus life. The goal of our community gatherings is to encourage, equip, exhort, and empower people to live the Jesus life. The people in our community then go out and live the Jesus-life in whatever context in which they find themselves, and the missional/incarnational cycle starts over again. 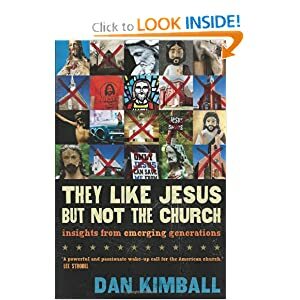 This Christmas season in evangelical churches all over the United States you’ll be able to hear amazing well written sermons about how Jesus was born in a manager, lived a perfect sinless life, died on the cross to atone for our sins and arose on the third day proving he had defeated sin and death. While all of these things are biblically true they have nothing to do with Christmas, except for the born in a manger part. We evangelicals have lost Christmas. We are so caught up in the atonement that we forget the incarnation. Even in our Christmas sermons we blow by Christmas to get to Easter, because that’s the good news after all. Or is it? Jesus sent John’s disciples back to him with the message that the good news was being proclaimed (Matthew 11:5). The message that Jesus proclaimed wasn’t that he was going to die to save us from our sins (Although this is very good news and I don’t mean to minimize it). The message that Jesus proclaimed was that the Kingdom of God was near (Mark 1:14 and many others). The Kingdom of God was manifested in the life of Jesus. The incarnation is about communication. The incarnation is about displaying a life lived in the Kingdom of God. Jesus lived his life in full submission to the Father and invites us into that life, the life that the Apostle John termed eternal life. Christmas is about God “making his dwelling among us” (John 1:14). The incarnation shows us how to live in relationship with God. The incarnation is a model for our lives. Then on the cross Jesus redeemed us restoring our relationship with God and after the resurrection he ascended to heaven and sent the Holy Spirit to empower us to live that life. As Christians, we’re called to live our lives from the perspective of the incarnation. The community we’re forming in Ann Arbor is all about this kind of incarnational living. Agape Ann Arbor is a community experiencing and expressing God’s love as modeled by Jesus in the incarnation. We would love for you to join our community. There are several ways you can be a part of this incarnational ministry. You can contact us to find out about our next meeting. You can join our prayer team and commit to praying for us. You can support our ministry financially. More importantly, however, you can make the choice this Christmas to reclaim what we’ve lost. During this Christmas season, don’t skip to Easter. We will celebrate the glorious resurrection of our messiah soon enough. This Christmas, celebrate his incarnation. The vision of Agape Ann Arbor is to be a community experiencing and expressing God’s love. Unfortunately most people in our culture don’t really know what love is. We seem to have connected love inseparably to romance. We define love as that feeling we get in our chest when we’re near someone we’re attracted to. For the record, that’s not love. That’s a hormonal response to physical attraction. He chose not to cling to equality with God. Jesus gave up everything including His life for us. That is the ultimate expression of love. “There is no greater way to love than to give your life for your friends” (John 15:13 The Voice). That is what Agape Ann Arbor is all about. We’re about giving our lives for the City of Ann Arbor. We’re here to make Ann Arbor a better city through our investment here. We’re here to give of ourselves, our time, our resources, and our abilities to the people around us so to make their lives better. We will do this in such a way as to draw them to the One who sacrificed everything so that we could have life and “have it to the full” (John 10:10 NIV). How about you? Do you love the people around you? Are you ready to sacrifice yourself for the 98,000 people in Ann Arbor, MI who don’t know Jesus? Join the movement. Follow us on Twitter. Like us on Facebook. Join our prayer team. Posted in Agape Ann Arbor | Comments Off on What is Love? In my last post I talked about why we’re starting Agape Ann Arbor. I talked about how we want to break the stereotype of Christianity in Ann Arbor. The vision of Agape Ann Arbor is to be a community experiencing and expressing God’s love. How do you do that? How do you build a community that experiences and expresses God’s love? Experiencing and expressing God’s love requires contact. It can’t be done from a distance. Experiencing and expressing love happens eyeball to eyeball. We’re starting Agape Ann Arbor with a focus on relationships. We’re focusing on connecting people to each other. We want people to connect in small groups where they experience God’s love through the people around them and have the opportunity to express God’s love back to the people around them. We’re looking for people who want to be a part of a new movement in Ann Arbor Michigan. We’re looking for people who want to experience and express God’s love. Are you interested? Do you want to join the movement or know someone who does? Like us on Facebook. Follow us on Twitter.
. Or just contact me so we can talk. God’s changing lives. Are you going to be a part of what God’s doing? What is Agape Ann Arbor? Have you ever spent time thinking about what you’re known for? Joe Montana is know for being an amazing quarterback. Oprah Winfrey is know for being a media mogul. Snooki and the Situation are known for taking themselves way too seriously. These are the things the average American ages 16 – 25 thinks about Christians. This is what Christians are known for. It’s a far cry from what Jesus said we should be known for, isn’t it? In John 13:35, Jesus said that the world would know we were His followers, Christians, by our love for one another. There is nothing loving in any of those statements. This is where Agape Ann Arbor steps in. Agape Ann Arbor is a new community of Christ-follwers. Our goal is to break the stereotype. Our goal is to be a community of people known for our love. We want to be a community where God’s love is experienced and expressed. We want the City of Ann Arbor to see us and know that we love them, God loves them, and Jesus died for them. And God willing, we will break the stereotype in Ann Arbor. Christians won’t be known for their politics or their hypocrisy. We’ll be known for our love and what we do here in Ann Arbor, MI will change the way America and the world views Christians. , and receive weekly email updates about how to specifically pray for us. If you’re in Washtenaw County and would like to become part of the team you can contact me and we’ll get together. Please pray for us. There are 98,000 people in Ann Arbor who don’t know Jesus. We’ve got a long road ahead of us, but we’re excited to be a part of what God’s doing in our city. Posted in Agape Ann Arbor | Comments Off on What is Agape Ann Arbor?